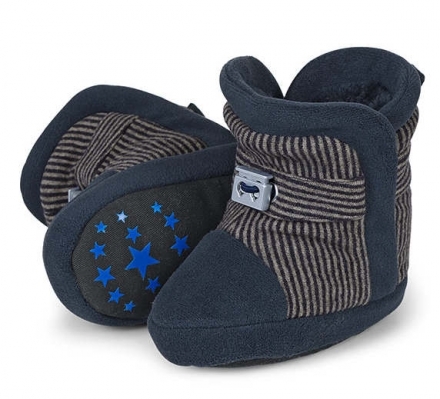 Warming Baby-Shoe made of wonderful warm texture. The shoes are closed with a Velcro so they do not fit too tight, but because of the Velcro they are opened very quick and easy. Furthermore the shoes are fitted high so that also the ankles of your children are supported and warmed. This was a good idea by Sterntaler because the babies do not loose their shoes so often anymore!